We'll announce first, second and third place awards at the Winners Bash on June 13 at Abe & Jake's Landing. All are invited, and tickets are on sale now! Are you a Top 5 finalist? Enter your info here to claim your free ticket to the Winners Bash! 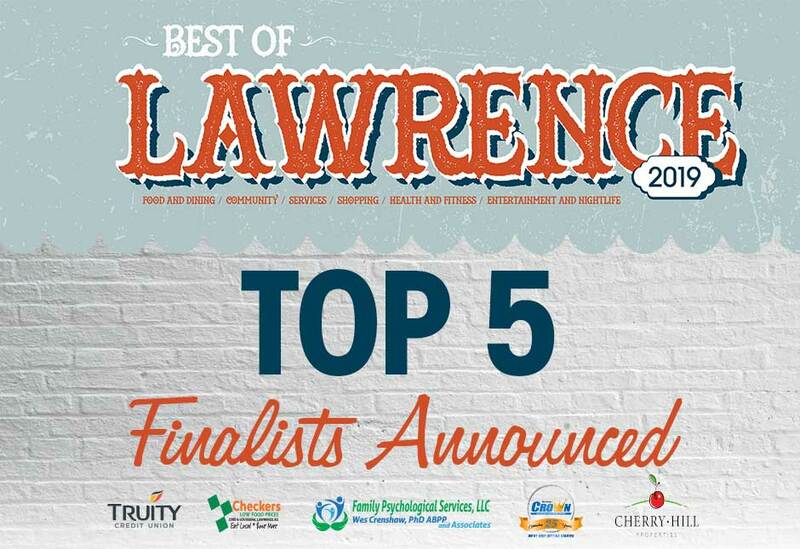 The list of winners, along with special features and a behind-the-scenes look at this year's vote, will be included in the Best of Lawrence magazine, which will be distributed at the event. Copies also will be included in subscriber editions of the Journal-World after the event and will be available at other locations around town. Congratulations to all the finalists, and we'll see you June 13 to celebrate the winners! Carlos Ransom, Abraxas Tattoo Co.
Chris Hess, Abraxas Tattoo Co.
Steve's Auto Plaza Body Shop Inc.
Lynn Electric & Communications Inc.
Wyatt Heating & Air Conditioning, Inc.
Kristie Bowen, KB & Co.